The popular winter attraction will close in less than two weeks. If you've yet to visit the Ice Castles in Dillon, we highly suggest you make the trip before it's too late. According to event organizers, the popular winter attraction will close on March 9. The Ice Castles returned to Colorado on December 21, and thousands of people have toured the icy landscape, myself included. The castles "feature ice-carved tunnels, fountains, slides, frozen thrones, and towers that reach up to 40 feet high. LED lights frozen inside 25 million pounds of ice twinkle to music at night," according to event organizers in a statement. Tickets can be purchased online for a scheduled time or standby. Please keep in mind that there are designated hours throughout the week (see below) and the attraction is closed on Tuesdays and Wednesdays. Monday: 4–9 p.m. | Tuesday: Closed | Wednesday: Closed | Thursday: 4–9 p.m. | Friday: 4–10:30 p.m. | Saturday: 12–10:30 p.m. | Sunday: 12–8 p.m.
For more information, visit the Dillon Ice Castles website. 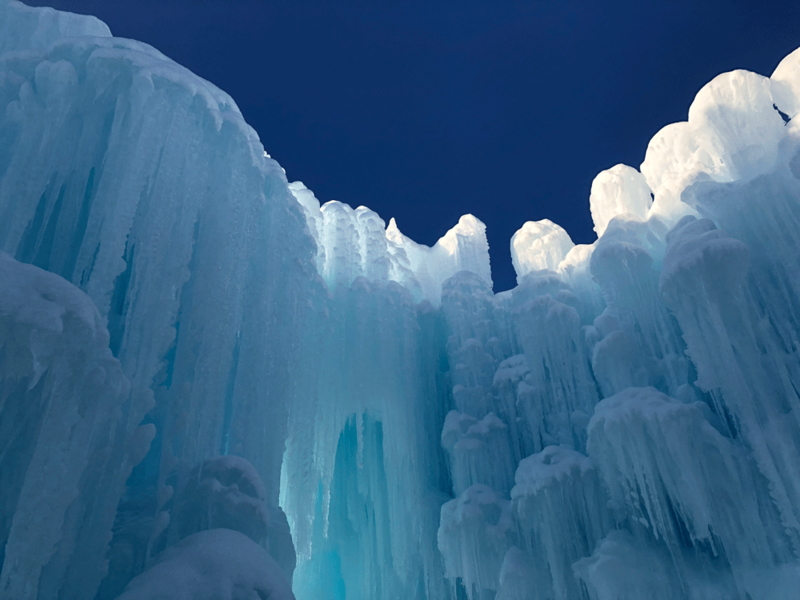 Have you visited the Ice Castles in Dillon? If so, what did you think? Also, please share your photos of the castles with us in the comments below. Our Colorado State-cations: Wonder at the Rifle Mountain Park Ice Caves!